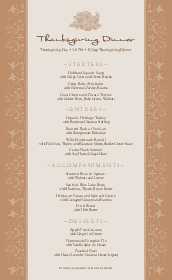 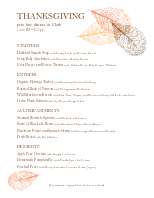 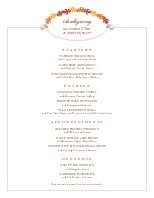 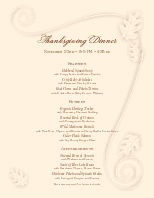 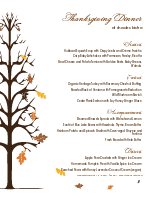 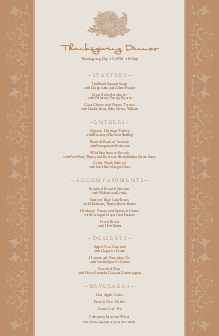 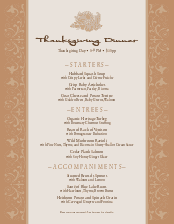 A subtle cornucopia graphic tops this elegant Thanksgiving menu. 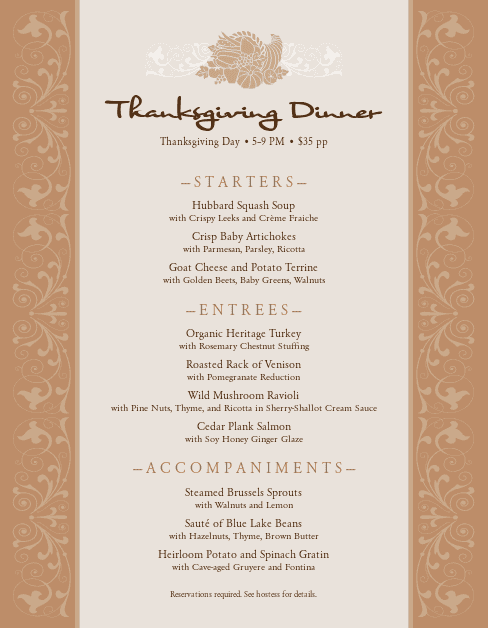 Vintage scrolls in a neutral brown frame the Thanksgiving dinner options, whether homestyle buffet or gourmet prix fixe offerings. 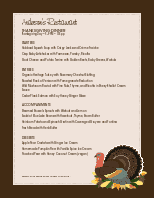 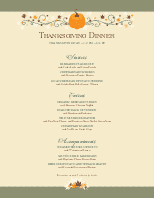 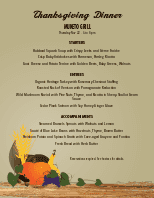 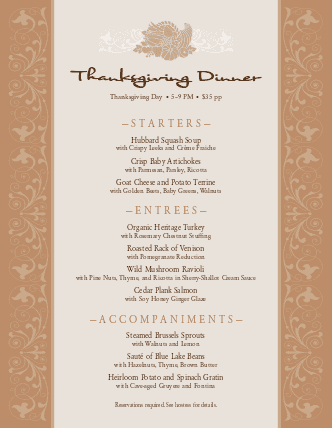 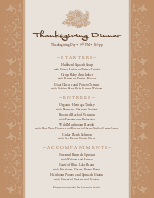 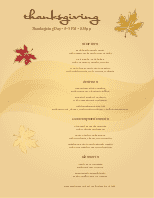 This continental-style Thanksgiving menu can be customized online.